As the President of Write Way Designs, I believe strongly in giving back to the community, especially for causes that are dear to my heart. Write Way Designs, Inc. will donate time and funds to support the following charities and organizations. We hope you will consider giving, too! Unfortunately, it is rare to find someone who doesn't know a loved one, or a friend, colleague, or client, who has been affected by Cancer. Let's help eradicate this disease once and for all. Please help us raise funds to find a cure! Every donation helps, no matter how small. Together, we can make a difference. On April 9th and 10th, 2011, from 2:00 PM to 8:00 AM EST, we assisted SLRSC with the American Cancer Society RELAY FOR LIFE in Cocoa Beach, by walking around Cocoa Beach High School's track on Minuteman Causeway for 18 straight hours and selling pizza, popcorn, hot chocolate, sodas, frito pies, gatorade, water, cookies, donuts, breakfast egg and sausage burritos, and breakfast biscuits and gravy! Between the Relay for Life Track event and the SLRSC team's indiviual events, including the Write Way Designs Wine Tasting Extravaganza, The SLRSC Chili Contest, the Write Way Designs T-Shirt Sales, and various SLRSC Bake Sales and Relay for Life product sales, all together we raised just under $4,500! But, we can still raise more! It is not too late to donate! Please consider helping, by donating time or funds to the American Cancer Society, and by spreading the word about our efforts for this worthy cause! Remember, together we can make a difference in the lives of thousands of people and their families. To learn more about the RELAY FOR WALK event, please view last year's video for the event in California. On Friday, March 25th, 2011, from 6:00 PM to 8:00 PM EST, Write Way Designs held a Wine Tasting and Raffle Fundraiser for Relay for Life and raised $245 for the American Cancer Society! It is not too late to donate! Please visit our site to donate directly to Relay for Life today! 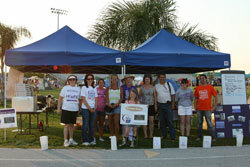 To learn more about Relay for Life events in your area, click here. To learn more about Cancer, and other fundraising events, visit the website for The American Cancer Society. 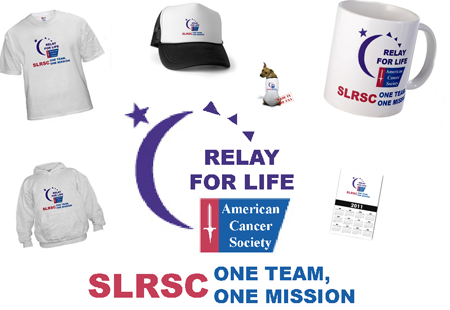 Click image to purchase RELAY FOR LIFE products from the SLRSC ONE TEAM, ONE MISSION fundraiser. The American Red Cross distinguishes itself by aiding victims of devastating natural disasters. In addition to domestic disaster relief, the American Red Cross offers compassionate services in five other areas: community services that help the needy; support and comfort for military members and their families; the collection, processing and distribution of lifesaving blood and blood products; educational programs that promote health and safety; and international relief and development programs. Some four million people give blood, the gift of life, through the Red Cross, making it the largest supplier of blood and blood products in the United States. The Red Cross also helps thousands of U.S. service members separated from their families by military duty stay connected. As part of the International Red Cross and Red Crescent Movement, a global network of 186 national societies, the Red Cross helps restore hope and dignity to the world's most vulnerable people. 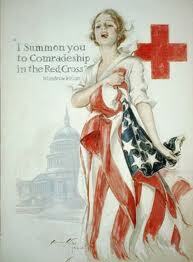 The Red Cross is not a government agency; it relies on donations of time, money, and blood to do its work. An average of 91 cents of every dollar the Red Cross spends is invested in humanitarian services and programs. Although CDH occurs as often as Spina Bifida and Cystic Fibrosis, CDH most often has fatal results. Suvivors often suffer lasting health problems such as feeding aversions, gastrointestinal problems, asthma, allergies, scoliosis, or other long-term pulmonary problems. Dawn Torrence, the President of CHERUBS- The Association of Congenital Diaphragmatic Hernia Research, Advocacy, and Support, also lost her son, Shane, at six years of age to this birth defect. 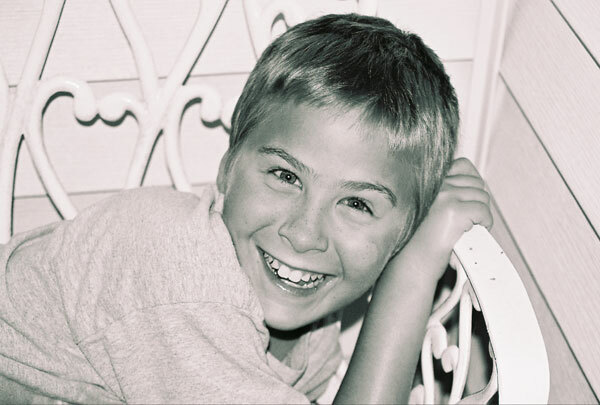 Click here to see a video about Shane and to donate for research to help find the cause and a cure for CDH. Dawn has worked tirelessly to bring awareness and support to the community, especially back when there were no support groups and CDH families had nowhere to turn. 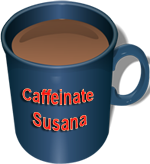 I, myself, credit Dawn's website and forums for the knowledge and support I received for years after the loss of my son Sean. I hope others also donate to this wonderful organization that is run entirely by volunteers, to help the thousands of babies and families affected by this birth defect around the world. 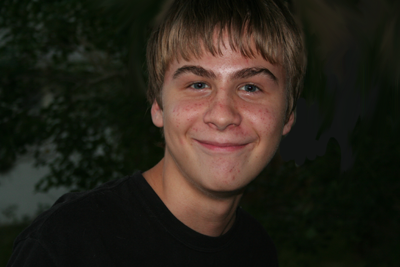 In memory of my son, Sean Matthew Lutz, (April 29th-30th, 1988), and on behalf of Dawn Torrence, President & Founder, I hope you will consider donating, too, so Dawn and her volunteers may continue their generous support of CDH families in need. Asthma is a life-threatening disease that needs strictly-adhered-to-programs for prevention and treatment. This disease affects one in every 15 children, making it the most chronic disease in children. Five percent of all adults in North America have the disease. Deaths due to asthma, for the most part, tend to be sudden and unexpected. The asthma deaths that make the news are typically asthmatics in their teens and early twenties. Many of these deaths are also attributed to delay in seeking medical attention and inappropriate use of asthma medication, often over-the-counter (OTC) medication. Many deaths from Asthma can be prevented. But, Asthmatics must carefully monitor their condition and strictly adhere to a medically-supervised plan. Find a Walk near you or Donate Now! Parents can become experts in spotting the early signals of Asthma by being keenly observant to the warning signals. Every child with Asthma has a built-in warning system when signals are on the way. Those signals can be seen, heard, and felt and every child has his or own pattern of signals. Both parents and children can learn to recognize those patterns as the body's messages to start heading off those symptoms before they get bad. Reassure the child by your tone of voice, your attitude of being able to manage, your confidence. All those qualities are catching. Your child will take cues from you and relax. If the doctor has recommended a medicine when signals appear, use it. ( Don't give the child a special dose unless the doctor said to). Your experience and judgement can help you decide what further measures to take in addition to calling the doctor. -- Chest and neck are pulled or sucked in with each breath. -- Child has trouble walking or talking, stops playing and cannot start again. -- Peak flow rate gets lower, or does not improve after treatment with bronchodilators, or drops to 50 percent or less of your child's personal best. Discuss this peak flow level with your child's doctor. -- Lips or fingernails are gray or blue. If this happens, GO TO THE DOCTOR OR EMERGENCY ROOM RIGHT AWAY! As an infant and toddler, my son, Joey, often became ill with chest infections, bronchitis, and pneumonia. 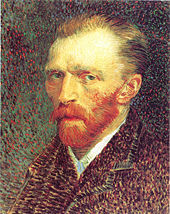 It seemed that any little cold or sniffle would immediately bring on symptoms of wheezing, coughing, vomiting, lack of appetite, lethargy, and high fever, resulting in numerous trips to the emergency room for intravenous hydration, nebulizer treatments, and his being diagnosed with chest infections and/or pneumonia (for which he was hospitalized). Although Joey's Asthma symptoms have been limited to about once per year since he reached puberty (typically during Flu season or the cold winter months in Central Florida - November through February) before his teen years Joey and I missed a tremendous amount of days from school and work due to his illness. Asthma is the number one cause of absenteeism in work and school in the United States. His pediatrician diagnosed Joey with Chronic Asthma. When he learned that neither Joey's father nor I were smokers, he advised that we test him for allergies. 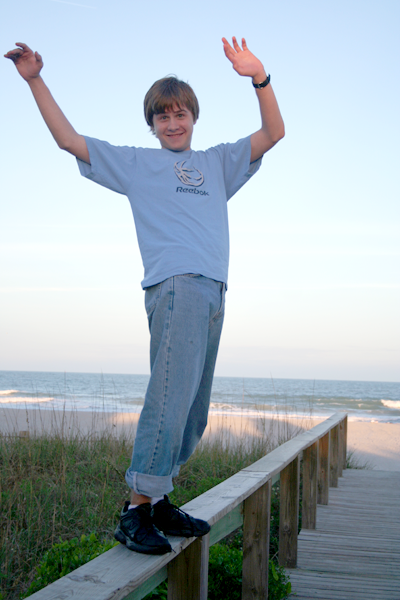 When Joey took the allergy test, his Asthma and Allergy Specialist from Asthma and Allergy Specialists of Orlando confirmed Joey was allergic to cats, dust, mold, and every type of leaf, grass, plant, and tree. In Joey's case, strong emotions (laughing, crying, anger), exercise, and cold weather could also bring on wheezing and an Asthma attack. After puberty, Joey's triggers seem to be limited to strong emotion such as laughing too hard, exercise, and cold weather, but they are generally controlled by a puff from his inhaler. To limit his triggers when he was a child, I found new homes for two of our cats and kept the indoor/outdoor cat strictly outdoors. The dogs and hamster, at our home and his father's, were restricted to the living room area and backyards, and kept out of Joey's bedrooms in both homes. Fish tanks contain the only pets Joey can have in his room. The dogs in both homes are bathed weekly and kept off the furniture. At my home, I removed carpeting, curtains, and stuffed animals (dust collectors!) in Joey's bedroom and living room, dining room, kitchen, and added tile floors and blinds, as well as protective dust covers for Joey's box spring, mattress, and pillows. I put a HEPA Air Filter in Joey's room and dust and mop at least once a week. I wash his bed sheets, pillow cases, and comforter weekly in hot water. Living in Florida, I keep the air conditioner on at all times, and ensure to change the filter once or twice a month. To prevent Asthma attacks during the cold winter months, in Florida, usually from November through March, Joey would take a puff of Pulmicort (steroid) each night. If he came down with a cough that did not respond to over-the-counter medication, I would give him Albuterol treatments with the nebulizer 4x day. Joey would then continue the oral steroid for the full five days, while tapering the Nebulizer treatments from 4 to 3 to 2 times a day, and eventually, as needed only for cough. After five days, Joey resumed Pulmicort steroid, one puff per day. IMPORTANT: I always discontinued the preventive Pulmicort steroid while Joey was taking the oral Orapred or Prednisone steroid for five days. Steroids have side affects, including stunting growth, bone loss, memory loss, behavior problems and hyperactivity, as well as higher rates of infections and diseases due to lowering the immune system. However, they can be life savers for Joey, and for anyone suffering an Asthma attack. Joey's father and I each have nebulizers, Albuterol, and prednesilone syrup in our respective homes. His grandparents and Joey's older brother, Brian, are all aware of how to treat Joey's Asthma, and the phone number to Joey's Asthma Specialist is visibly posted on our refrigerator. Although Joey's attacks have not been as prevalent or severe for several years now, (since he became a teen he occasionally has an attack during flu season or during strenuous exercise) I continue to participate in the Blow Your Whistle on Asthma walk to raise funds for the education, prevention, advocacy, and hopefully cure of Asthma. Click here for the Asthma Walk video. Economic Impact of Asthma on Schools, the Work Place, Hospitals, Insurance, and Medical Care? Every year, I join the "Blow the Whistle on Asthma Walk" to raise funds to help find a cure for Asthma. And every year I ask everyone I can for their support and commitment to the American Lung Association of Central Florida or in your own city, state, or region. In the Greater Orlando Area, this year's Blow the Whistle on Asthma Walk will be held on Saturday, May 2nd, 2009 at Lake Eola Park in downtown Orlando, Florida. Dollars raised through this event are dedicated to prevent lung disease and promote lung health through education, research, and advocacy. Easy it is to make a difference! Thanks to everyone for supporting our efforts to raise awareness and much needed funds for children and adults who suffer from Asthma. 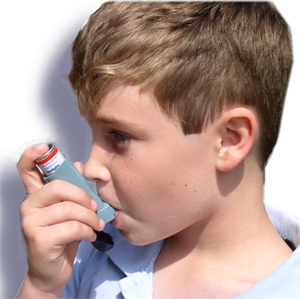 Asthma Medication at School Within the school environment, asthma medication is usually given by inhalers. Reliever Inhalers are what children need to take immediately when asthma symptoms appear. Relievers work quickly to relax the muscles around the airways. As these muscles relax, the airways open wider and it gets easier to breathe again. Children with asthma need to keep their relievers with them, or close at hand at all times. Some children's asthma is so mild that they only get asthma symptoms once or twice a week (usually after exercise).The rest of the time their asthma causes no problems. These children will probably just need a reliever inhaler. However, if they are using it more than once or twice a day, or three or four times a week, then parents should alert their pediatrician or Asthma Specialist, as the child's asthma is not under control. In these cases, children will probably be prescribed a preventer, as well. Preventers are either steroid- or cromoglycate-based. The steroid-based preventers are very low dose and extremely safe. They are different from the anabolic steroids, such as body builders may use. The preventer is the inhaler that should be taken every day (usually first thing in the morning and last thing at night), even when asthma seems well controlled. That's because preventer inhalers work over a period of time to help calm the airways. They're less likely to react badly when someone with asthma has a cold or chest infection or encounters one of their triggers. Normally, preventer inhalers should not be needed by children in school hours. If they are needed, children may need reminding to take them. Steroid tablets are very rarely found in the school environment. These give a much higher dose of steroid than a steroid preventer inhaler. If asthma symptoms get really bad, the doctor might prescribe steroid tablets for between 5 and 14 days until the asthma is under control again. Steroid tablets are essential emergency treatment for some children who need to take them in a crisis. Some children's asthma is severe all the time. In these cases, their doctor might suggest they take steroid tablets for a longer period. Often, children taking steroids are excused from school until they feel better. Spacers make metered dose inhalers (spray inhalers) easier to use and more effective. They allow more of the medication to be breathed straight down into the lungs where it's needed most. Because of the co-ordination needed, children under 12 often find it difficult to use the MDI (spray) inhalers properly without a spacer. Spacers will often be found in school. Normally children should not need to use a nebulizer in school, but oftentimes the nebulizer is the treatment of choice for young children. There is new evidence to indicate that for the vast majority of people with asthma, inhaled therapy is best delivered by inhalers or inhalers with spacers. If a doctor or nurse does advise that a child needs to use a nebulizer in school, the staff involved will need training by a health professional. 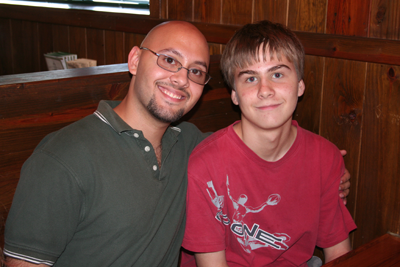 On August 7th, 2007, my 14-year-old son Joey was swimming underwater at his grandparents' subdivision pool when his grandmother noticed he had remained in one spot for several minutes. She swam over to him, nudged him, and receiving no response, turned him over and lifted his face out of the water. Joey was blue and motionless. She thought he was dead. Luckily, his 74-year-old grandmother is a retired emergency room nurse. Although she couldn't lift him completely out of the water, she pulled him over to the steps and was able to get him breathing. Then she screamed for help, alerting a neighbor who was in a nearby weight room. The man pulled my son out of the water and dialed 9-1-1 on his cell phone. He then drove Joey's grandparents to Arnold Palmer Hospital for Children, where Joey was rushed by ambulance, and where he remained unconscious. Joey was unconscious for almost 24 hours. When he came to at 3:00 AM the next morning, he asked, "Mom, where am I?" All he could remember was swimming underwater and then waking up at the hospital. The doctors had no explanation for what happened to Joey. They suggested that perhaps he had fainted while holding his breath for too long. This phenomenon is often referred to as shallow water drowning, when a person hyperventilates to hold his breath for as long as possible and then passes out. Many deaths of strong swimmers have been attributed to this phenomenon. One doctor at the hospital asked if Joey had a history of seizures. We all told him "No" but mentioned the Asthma attacks he had as a child. Could Joey have been swimming so strenuously that he had an Asthma attack in the water? The doctors ruled out this possibility. So, Joey visited numerous specialists (pediatrician, neurologist, endocrinologist) and was poked and prodded and subjected to many brain scan M.R.I.s, E.E.G.s, and blood tests. Now, we learned Joey had Epilepsy, and all of us - including my ex-husband, son Brian, grandparents, and I were in shock - but especially Joey. In retrospect, we should have realized there may have been a physical reason for Joey's lack of focus on his classwork - that it was not attributed to day dreaming, adolescence, lack of discipline, or plain laziness. How could we have been so blind? The following videos are about Epilepsy. The first shows an example of the Absence Seizure, or "staring spell" that Joey experiences. This type of seizure used to be referred to as Petite Mal Seizure. In the second video, a 19-year-old young man explains Epilepsy and speaks out against prejudice and ridicule used against people with Epilepsy. For more videos by Dynamiteskillsx, click here. with Epilepsy gets support from strangers. There are many different types of seizures. People may experience just one type or more than one. The kind of seizure a person has depends on which part and how much of the brain is affected by the electrical disturbance that produces seizures. Experts divide seizures into generalized seizures (absence, atonic, tonic-clonic, myoclonic), partial (simple and complex) seizures, nonepileptic seizures and status epilepticus. Generalized seizures affect both cerebral hemispheres (sides of the brain) from the beginning of the seizure. They produce loss of consciousness, either briefly or for a longer period of time, and are sub-categorized into several major types: generalized tonic clonic; myoclonic; absence; and atonic. Generalized tonic clonic seizures (grand mal seizures) are the most common and best known type of generalized seizure. They begin with stiffening of the limbs (the tonic phase), followed by jerking of the limbs and face (the clonic phase). Myoclonic seizures are rapid, brief contractions of bodily muscles, which usually occur at the same time on both sides of the body. Occasionally, they involve one arm or a foot. People usually think of them as sudden jerks or clumsiness. A variant of the experience, common to many people who do not have epilepsy, is the sudden jerk of a foot during sleep. First aid is usually not needed, however, a person having a myoclonic seizure for the first time should receive a thorough medical evaluation. Atonic seizures produce an abrupt loss of muscle tone. Other names for this type of seizure include drop attacks, astatic or akinetic seizures. They produce head drops, loss of posture, or sudden collapse. Because they are so abrupt, without any warning, and because the people who experience them fall with force, atonic seizures can result in injuries to the head and face. Protective headgear is sometimes used by children and adults; the seizures tend to be resistant to drug therapy. No first aid is needed (unless there is injury from the fall), but if this is a first atonic seizure, the child should be given a thorough medical evaluation. Absence seizures (Joey's diagnosis, also called "petit mal seizures") are lapses of awareness, sometimes with staring, that begin and end abruptly, lasting only a few seconds. There is no warning and no after-effect. More common in children than in adults, absence seizures are frequently so brief that they escape detection, even if the child is experiencing 50 to 100 attacks daily. They may occur for several months before a child is sent for a medical evaluation. Infantile Spasms are clusters of quick, sudden movements that start between 3 months and two years. If a child is sitting up, the head will fall forward, and the arms will flex forward. If lying down, the knees will be drawn up, with arms and head flexed forward as if the baby is reaching for support. What to Do: No first aid, but doctor should be consulted. In partial seizures the electrical disturbance is limited to a specific area of one cerebral hemisphere (side of the brain). Partial seizures are subdivided into simple partial seizures (in which consciousness is retained); and complex partial seizures (in which consciousness is impaired or lost). Partial seizures may spread to cause a generalized seizure, in which case the classification category is partial seizures secondarily generalized. Partial seizures are the most common type of seizure experienced by people with epilepsy. Virtually any movement, sensory, or emotional symptom can occur as part of a partial seizure, including complex visual or auditory hallucinations. Simple Partial 90 seconds No loss of consciousness. They don't last long. Most last only a minute or two, although people may be confused and need a lot more time afterwards to recover fully. They end naturally. Except in rare cases, the brain has its own way of bringing the seizure safely to an end after a minute or two. You can't stop them. In an emergency, doctors may use drugs to bring a lengthy, non-stop seizure to an end. However, the average person should wait for the seizure to run its course and try to protect the person from harm while consciousness is clouded. People who have been shown how to use a Vagus Nerve Stimulator (VNS) magnet may try to stop a partial seizure in that way. They are not dangerous to others. The movements produced by a seizure are almost always too vague, too unorganized and too confused to threaten the safety of anyone else. Nonepileptic seizures are episodes that briefly change a person's behavior and often look like epileptic seizures. The person having nonepileptic seizures may have internal sensations that resemble those felt during an epileptic seizure. The difference in these two kinds of episodes is often hard to recognize by just watching the event, even by trained medical personnel. But there is an important difference. Epileptic seizures are caused by abnormal electrical changes in the brain and, in particular, in its outer layer, called the cortex. Nonepileptic seizures are not caused by electrical disruptions in the brain. Most seizures end after a few moments or a few minutes. If seizures are prolonged, or occur in a series, there is an increased risk of status epilepticus. The term literally means a continuous state of seizure. Since Joey has begun taking the Lamictal medication, we have all noticed a tremendous improvement in his attentiveness and ability to focus. This year, he is back on the Honor Roll. 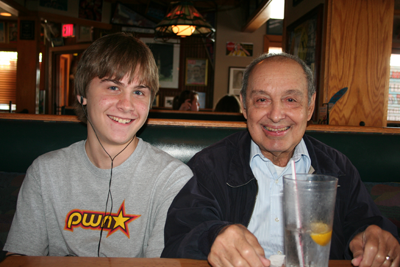 Since the age of 11, Joey has been creating websites, building PCs from scratch, and networking all the computers in our home. He even gets paid to update the website for his grandparents' Orchid Club. 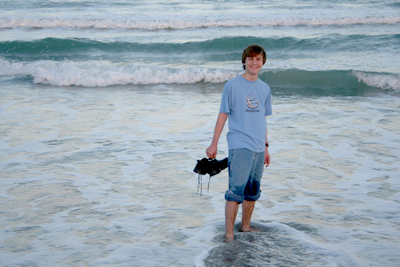 He has dreams of going on to college and then pursuing a career in software engineering. His doctors say there is no reason why he shouldn't. It's important for people with Epilepsy to know they're not alone; there are successful and even famous people in the world, both in history and currently living and thriving, with Epilepsy. 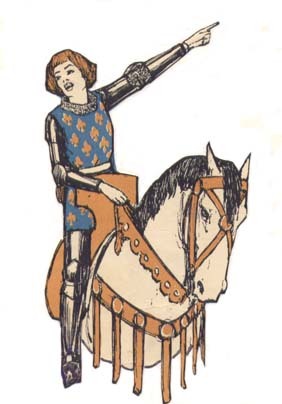 15th century national heroine of France. Tried and executed for heresy at 19 years old. 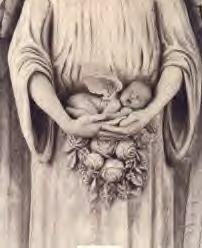 Judgment broken by the Pope and declared innocent/martyr 24 years later. Beatified in 1909 and canonized as a saint in 1920. An M.R.I. also revealed that Joey has an unrelated Adenoma (a benign brain tumor). Upon learning this latest bit of news, Joey responded with typical adolescent defiance: "Mom! If I REALLY have a brain tumor, I'll be pissed!" He then added that he would never permit anyone to operate on his brain. It is highly likely that Joey has no cause for concern. Pituitary Adenomas are found in 45% of the healthy population, most of whom will never be aware of their existence unless the tumor is discovered during an exam for an unrelated condition. In fact, these benign tumors are common during adolescence due to rapid growth and excessive hormones. There is only need for concern if the adenoma begins to grow and exerts pressure on the optic nerve, causing visual disturbances, or if it begins to secrete hormones, which may create other complications, such as gigantism. But, these conditions, are rare, and highly unlikely. However, Joey will receive annual MRIs and blood tests to monitor the adenoma. The horror of Joey's near-drowning accident has been a blessing, as it led to a timely diagnosis - before Joey received his driver's license. Our whole family continues to learn about Epilepsy, especially Absence Seizures from Generalized Epilepsy. We now make it a rule to educate others about Epilepsy, including the teachers at Joey's high school, friends, and family. We all know someone who's been affected by Diabetes, whether it is a family member, co-worker, or friend. But, between providing for our families amidst high unemployment and plunging house values, the soaring gas prices, and sending care packages to beloved troops overseas in Iraq and Afghanistan taking top priority, it may seem difficult for us to find spare pennies to donate to the American Diabetes Association. 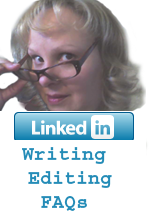 As a single mother who lost her full-time job and is struggling with her freelance business, I know too well how difficult it is to make ends meet right now. Yet, I will donate to this cause to help find a cure for the disease that shortened and diminished the quality of my mom's life. And I ask that you please consider making a small donation -- even $1 -- to help improve the quality of life for millions of Americans. 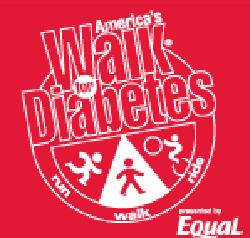 After personally seeing how Diabetes debilitated my mom, I want to make a difference by walking in the America's Walk for Diabetes fund-raising event. 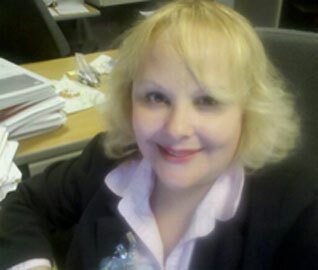 Please sponsor me with a small donation -- just a $1 -- by selecting one of the "Walk for Diabetes" buttons in this blog. For less than the price of a soda, smokes, or candy bar, you can help fund research to find a cure. Click HERE to Donate. If you want to do even more to help, you can join me. The walk event is fun and great for the whole family! Our efforts will help set the pace in the fight against Diabetes. Let's get moving and beat this disease! Where will your dollars go at the American Diabetes Association? This year, the ADA will invest 40 million dollars in Diabetes research. Ninety-six ($ .96) cents of every dollar you donate to the ADA goes to research, education, or advocacy for people affected by Diabetes. Listed below are just a few ways your money is being put to the best use! $79.00 Pays for a child to go to camp for one day. $50.00 Pays for one hour of Diabetes research. $26.00 Provides Diabetes risk tests for 1000 individuals. $25.00 Pays for materials necessary for a health fair. $11.25 Covers one hour of an advocate's visit to Washington. $2.75 Pays to send a Diabetes information kit to a newly diagnosed individual. WHY IS IT IMPORTANT TO FIND A CURE? The Center for Disease Control has named Diabetes as the epidemic of the century. There is an alarming growth rate of 1% per year and an increase of type 2 Diabetes in children as young as 10 years old. Statistics show that one in three children born today will develop Diabetes in their lifetime. Scientists are also seeing a correlation between Alzheimer's disease and Diabetes, both of which are expected to triple within the next 50 years. Dr. Charles Ouimet, Professor of Biomedical Sciences in FSU's College of Medicine, states that 65 per cent of Alzheimer's patients also suffer from Diabetes. There are currently 18.2 million people in the United States who have Diabetes. Although African Americans, Hispanics, and Native Americans are at a greater risk than Caucasions, no one is immune; the prevalence of this disease has increased across all ethnic groups over the decade. And currently, Diabetes kills more people than AIDS and Cancer combined. Diabetes affects one's health in many ways that can greatly lessen life expectancy. Did you know that if you have Type 1 or Type 2 Diabetes, you are at a much higher risk than the general population for damage to the eyes, kidney, nerves, and blood vessels? In Diabetes, sugar (glucose) accumulates in the blood to very high levels. This excess glucose attaches to proteins in the blood vessels and alters their normal structure and function, making the vessels thicker, and less elastic for blood to travel through. With Diabetes, blindness is a real risk, as diabetic eye disease is very prevalent. It starts when blood vessels in the retina become damaged, and can progress to a more serious form as damaged blood vessels close off and new, weaker vessels take their place. These new vessels can leak blood, blocking vision, and often causing scar tissue to grow and distort the retina. Because the retina can be irreversibly damaged before you can notice any change in vision, it is important, as a diabetic, to have regular eye exams. Kidney disease is also a side effect of Diabetes. It starts when the blood vessels in the kidney become leaky. These leaky vessels allow protein from the blood to be excreted with urine. Eventually, some vessels collapse and place more pressure on those that remain. Under this increased load, the remaining blood vessels are also damaged and the kidney may fail, forcing a diabetic to go on dialysis, where a machine performs the role of the kidney; or receive a kidney transplant. The American Diabetes Association recommends screening for protein in the urine every year starting at the time of diagnosis, or five years after the diagnosis in Type 1 diabetics. As a diabetic, you have two to four times the risk of developing heart disease or stroke than the general population. Blocked vessels in the legs can cause pain and can also impair circulation so that small cuts or infections are less likely to heal. Eventually, 0.6 percent of all diabetics have lower limb amputations because of damage to the feet or lower legs. In addition to heart and blood vessel disease, most diabetics also suffer from nerve disease that affects the feet and lower legs, causing numbness or tingling. The problems arise when numbness allows injuries to the foot to go unnoticed. The American Diabetes Association recommends that all people with Diabetes have a thorough foot exam every year. Diabetes has affected me personally because my maternal grandparents, several of my uncles and aunts, and my mother, and most recently, my dad, were all diagnosed with the disease. 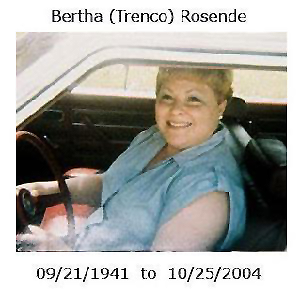 Over the years, I witnessed my mom go from being an active, full-of-life housewife, mother of five, and grandmother of 10, to being too tired and breathless to do her own housework, and having her independence severely limited by being unable to walk or stand for longer than short bursts of time, and finally, being unable to drive. 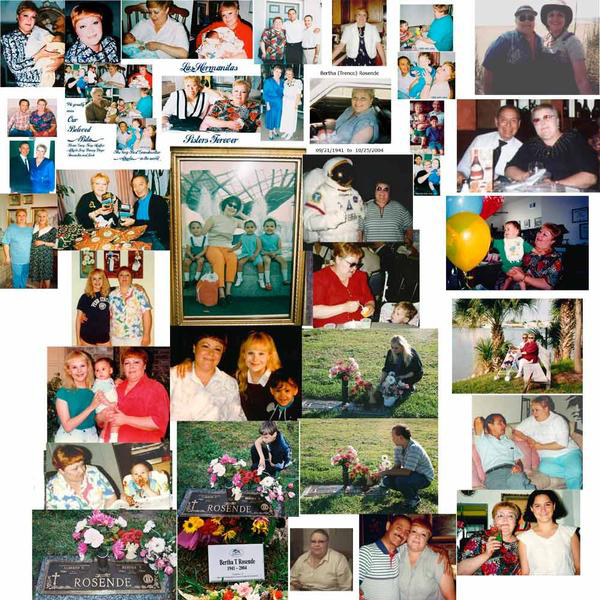 Diabetes limited and shortened my mom's life, curtailing my parent's dreams of traveling together when dad retired, and preventing the youngest grandchildren from truly getting to know the loving person that she was. My mom will never help my youngest sister plan her wedding, nor will she know any children she may have. 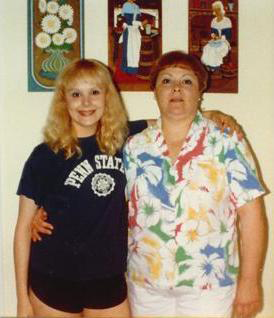 My mom wasn't present at my sister's college graduation or her eldest grandchild's high school graduation. At the time of her death, my parents had been married for 44 years. 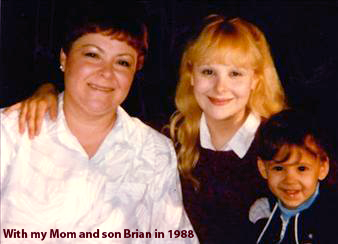 Without our mom, there is a great void in our lives. We have have not only lost our mom, but our best friend. In the last few years, my father has also been diagnosed with Diabetes 2. If you are diabetic, you can help to control your disease by maintaining a healthy lifestyle of diet and exercise, monitoring your blood sugar daily, and keeping all doctor appointments to monitor your vision, kidney function, cardiovascular health, and feet. If you have a loved one with Diabetes, you can donate to the American Diabetes Association to educate Americans on prevention and control of this disease, as well as to fund research to some day find a cure. No matter how small, your generous gift will help improve the lives of the more than 18 million Americans who suffer from Diabetes and the 41 million people with pre-Diabetes, in the hope that future generations can live in a world without this disease. Together, we can all make a difference! Harbor House, for all they do to help our families. According to a recent study by the University of Central Florida, Harbor House is one of the largest and most comprehensive domestic violence programs in the United States. Tens of thousands of women, men and children received services from Harbor House in the year 2010, alone. From their award winning Coaching Boys into Men primary prevention program, to their innovative partnership with the Orlando Police Department and Orange County Sheriff's Office, Harbor House continues to break new ground in the fight against domestic violence. In 2011, Harbor House plans to break down even more barriers with the opening of a new children's center and kennel for pets of survivors of domestic violence. They are working to prevent domestic violence before it hurts another child, breaks apart another family, or destroys another life. And they need your help. Your gift this year will support the efforts of Habor House to end domestic violence in Central Florida. 100% of your gift will go directly to support the programs of Harbor House. Please give the gift of safety. Join us as we work together to make our community a safer place for everyone. OCTOBER IS DOMESTIC VIOLENCE MONTH! PLEASE DONATE TODAY! In this economy, many people who wouldn't ordinarily find themselves in dire straights are now homeless. It could happen to anyone you know, even your co-worker, friend, neighbor, family member...maybe even you. In fact, the number of homeless families across the nation has increased by almost 40,000 since the recession began in 2007. That's a 30% increase according to a federal report released in June 2010. In Florida alone, the number of homeless families rose even more. From 2008 to 2009, that figured climbed 23 percent, with more than 8,000 families homeless at the latest count. Local advocates have tracked the number of school-age children who are homeless. 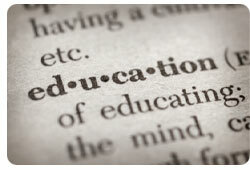 In Orange, Osceola and Seminole counties, for example, about 2,700 homeless kids were attending public schools in May 2008. A year later, the number had grown to 4,200. These figures don't include families that are doubling up in apartments or "sofa surfing" at the homes of friends and relatives, a common practice for those who have lost their homes through foreclosure or eviction. "There's an independent study on the doubling-up issue, and it's significant," said HUD Assistant Secretary Mercedes Marquez. "There has been a five-fold increase in doubling up [nationwide] over this last year." 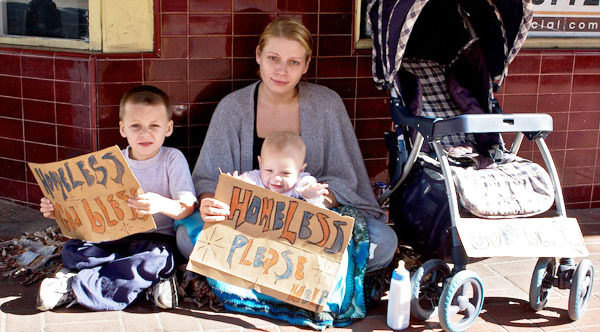 Families with children made up nearly one quarter of all homeless individuals in 2007. Statistically, homeless families are most often headed by single mothers in their 20s. 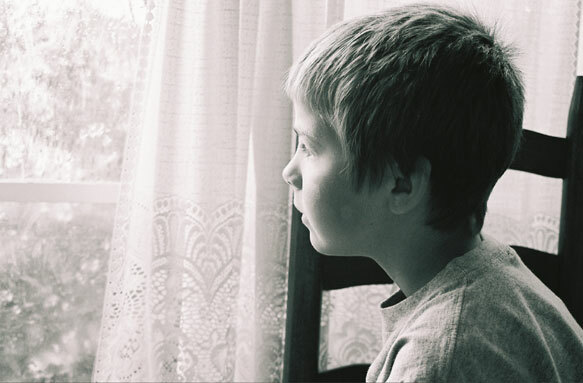 Approximately one half of all homeless children are under the age of 5. Unexpected Faces. Unexpected Places. The Homeless Are People You Know. These days, many are just a few paychecks away from homelessness. Help the homeless. Help to get a family back on their feet. Your donation will fund services for men, women and families with children, giving them the tools they need to return to self-sufficiency. Make a difference. Give today! More than 12 million children (one in six) live in poverty housing in the United States alone. Habitat for Humanity, Orlando offers a hand up (not a handout) to families caught in a cycle of poverty. In Central Florida last year, 19 families became first-time homeowners through Habitat for Humanity's mission of building and rehabilitating simple, affordable homes for low income families. Your contribution is needed now more than ever and will help build a home for a family in need. Your gift will help deserving families realize the American dream of home ownership. 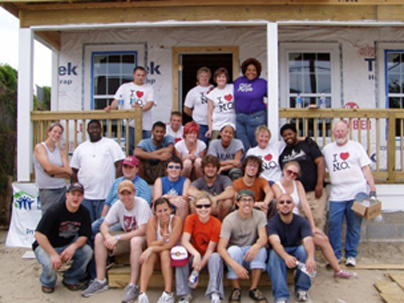 volunteers for Habitat for Humanity in New Orleans after Hurricane Katrina. Women Build Week brings women from all walks of life together to address the housing crisis facing millions of women and children across the globe. To date, Women Build crews have built more than 1,400 Habitat homes nationwide. In 2010, across all 50 states, more than 7,000 women volunteers built and raised funds needed to build affordable homes at more than 200 Habitat for Humanity construction sites. Learn more HERE. Please support Women Build Week and donate HERE!